All of the real estate agents here at Orson Hill Realty are associate brokers (except the employing broker) and Realtors. We believe in the ethics that are put in place by NAR (National Association of Realtors) and then some. We not only show respect and ethical behavior to our clients but we also demand respect for our fellow Realtors and real estate agents we work with. Our philosophy is that it does our client a tremendous disservice to be in a battle with fellow real estate brokers. We believe that as the “rocks” in every transaction we need to be calm and cool because emotions get out of hand very quickly in a real estate transaction and if the real estate agents or brokers don’t respect or like each other it could crater a deal that both buyers and sellers want to see happen. That is why we treat everyone in the transaction with the same respect and dignity within the scope of still fulfilling the highest result and fiduciary responsibility to our clients that we represent. You can read more about us in our Realtor blog. 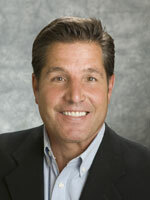 Danny Skelly is the owner and managing broker at Orson Hill Realty. He is an Evergreen, CO Realtor that specializes in mountain properties and real estate. I have experience with things that make mountain properties unique. I also specialize in luxury homes, horse properties and farms and ranches. I am a different kind of Realtor and Broker. Give me a call so I can discuss all your real estate needs. I will make sure your property or home is seen by everyone looking in that price point and in your area. Too many real estate agents do not understand the power and the need of the internet. I do and as your Orson Hill Realtor I will use it to its full capacity to market your home. NAR (National Association of Realtors) has determined that almost 90% of home buyers find their home on the internet. It only makes sense that we use that tool as efficiently and often as possible.I promise I will call back. I have had real estate agents (back before I became a broker) that would not return my calls. That drove me crazy. I will always return your call, text or email. I understand as your real estate agent I work for you. You are my boss. I devote as much time to the client that buys a $10,000 piece of land as the client that buys the 17 million dollar luxury mountain home. Eric Garza is the Luxury Team Leader at Orson Hill Realty. Eric has provided exceptional service with his exceptional real estate knowledge. 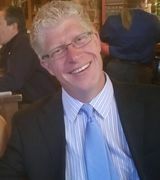 Eric have worked in the Evergreen, Conifer, Bailey and Denver real estate markets for years. As the luxury team leader he specializes in luxury home sales. He works as a listing agent and a buyer’s agent. Erica had years of experience in the banking industry and commercial real estate fields. He is bringing this experienced mixed with years of working with a national real estate firm known throughout the luxury industry to Orson Hill Realty in a leadership role and as an asset to work with his own clients. Eric has 19 years of working in the real estate industry in every part of the real estate process. He brings this knowledge to everyone of his real estate transactions. His determination that he brings to the office everyday can even be seen in his personal life. In 2005 Eric summited Mt. Everest. This was a 3 month commitment to one of his passions. This is the same commitment every client of Eric’s can count on. Eric and his family moved to the Denver Foothills about 18 years ago. Eric has knowledge of the unique challenges of mountain homes. Eric also has a great knowledge of the city as well. Eric has been involved in many development projects in the Denver Metro area from the beginning. He knows Denver very well including Cherry Creeks and Cherry Hills Village. Eric works as a listing broker and buyer broker from Denver to Summit County and everywhere in between. Eric uses the internet mixed with traditional real estate methods to market your home for faster closing and as much market exposure as possible.